On day 11 of Juneathon my right foot developed a mysterious and painful niggle. I have no idea what caused the sudden pain, one minute my foot was fine the next it was painful. I hope that when I crawl out of bed on Friday morning my foot has fixed itself and is pain free. Due to the random foot niggle my exercise on day 11 was limited to spending half an hour walking around my local Sainsbury’s and M&S stores buying food. In the evening I watched the Bislett Games so I’m counting watching the athletics on TV while icing my right foot as a form of exercise. 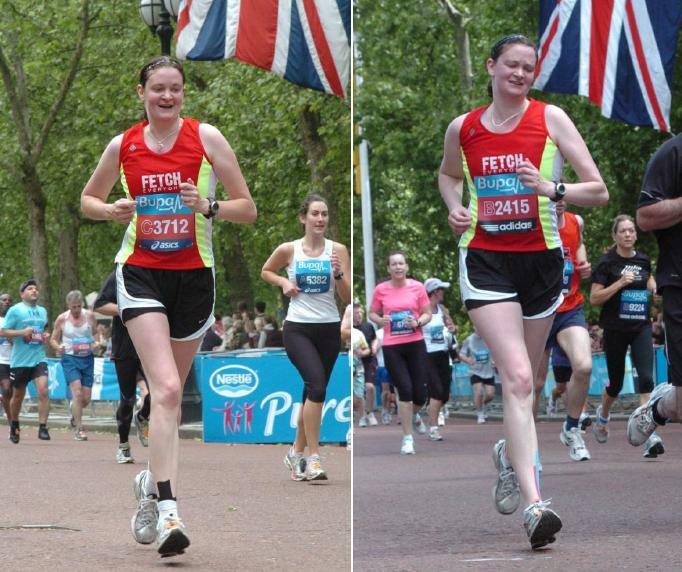 As I’ve been slacking with my photographs and as when i wrote this post it was #throwbackthursday here are photographs of me in the final 100m of the Bupa London 10,000 in 2010 and 2011.